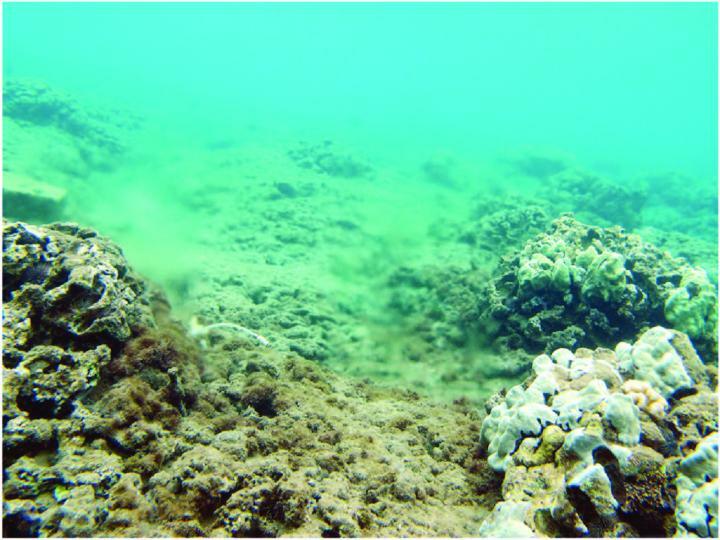 Algal blooms and degradation of coral reefs along Maui’s coast have been attributed to nutrient pollution, and previous studies have suggested the Lahaina Wastewater Reclamation Facility is a major source of excess nutrients in coastal waters. Previous experiments using dye tracers showed a direct link between the facility’s injection site and small submarine seeps that discharge freshwater near the coral reefs. But there are many potential sources of nitrogen, and it has been hard to show that the excess nitrogen in the water comes from the treatment plant. “They didn’t have a smoking gun to say that the nitrogen came from the sewage,” said Adina Paytan, a research professor in the Institute of Marine Sciences at UC Santa Cruz. Paytan and UCSC graduate student Joseph Murray worked with U.S. Geological Survey researchers Nancy Prouty and Sara Peek on the new study, published April 3 in Scientific Reports. “While submarine groundwater discharge is a natural process, humans are altering the composition of the water, making the reefs vulnerable to activities we do on land,” Prouty said. Paytan explained that the nutrient removal process preferentially removes lighter isotopes of nitrogen, so the remaining nitrogen is enriched in the heavier nitrogen-15 isotope. This research was supported by the USGS Coastal and Marine Geology Program and NOAA’s Coral Reef Conservation Program. How does agriculture affect vulnerable insect-eating birds?